I am so ready for a little pink and red around the house! Winter white has been pounding us, so I thought I’d break out the pink cotton yarns and do something fun. I found the idea and inspiration for this heart garland here but, since I’m a more-is-more kinda girl, I just had to embellish it a bit. The largest heart measures approx. 3 1/4″ wide x 3″ high, using worsted weight cotton. 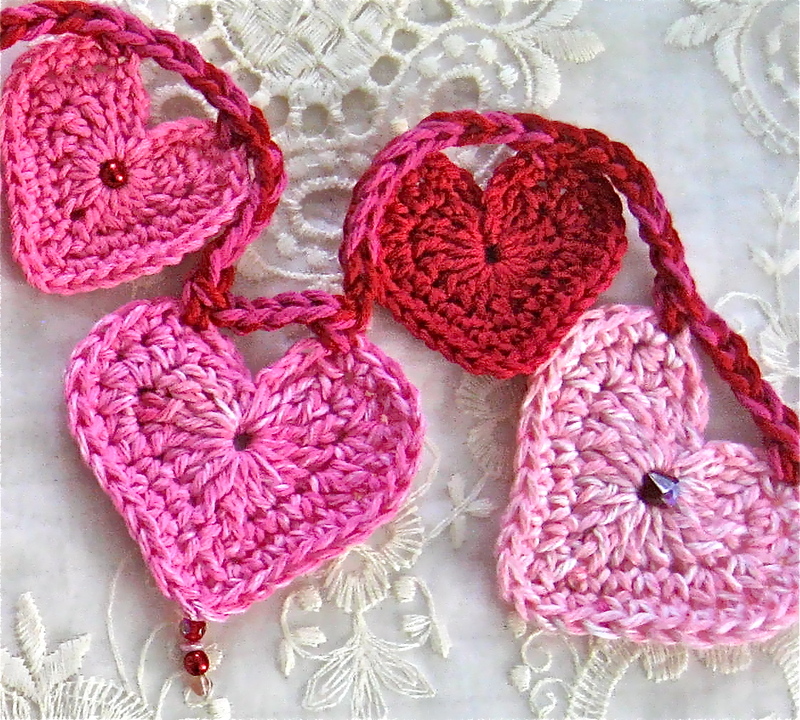 I followed the same directions for the smaller heart (2 1/2″ wide x 2 1/4″ high), using a dk weight cotton and a smaller crochet hook. These hearts are easy to make, and work up in a jiffy! Checked out the inspirational site and I must say your embellishments are superb! 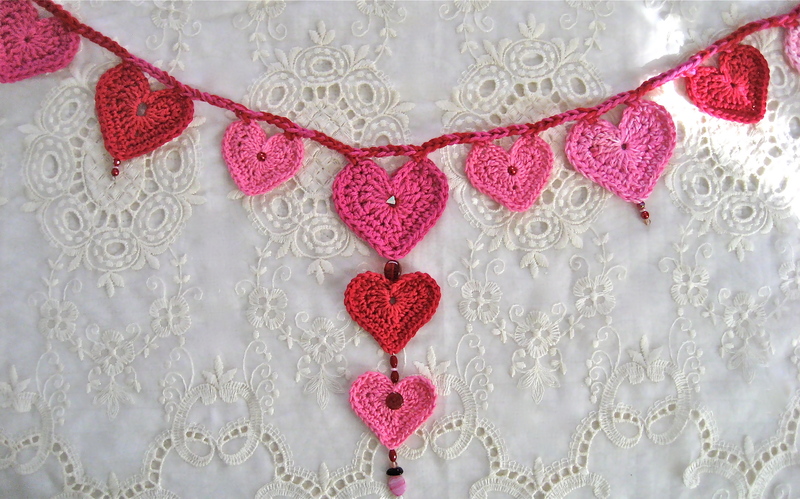 This garland is beautiful and “heart” warming ; ) Beautiful job ! You amaze me. I LOVE them….perfect for Valentine’s decorating. Ask me if I am impressed?!#?#?!! So cute — love it! I used the pattern found here: http://www.skiptomylou.org/2009/01/28/crochet-heart-garland/, and I adjusted the sizes of the hearts by using different yarns and smaller or larger crochet hooks. 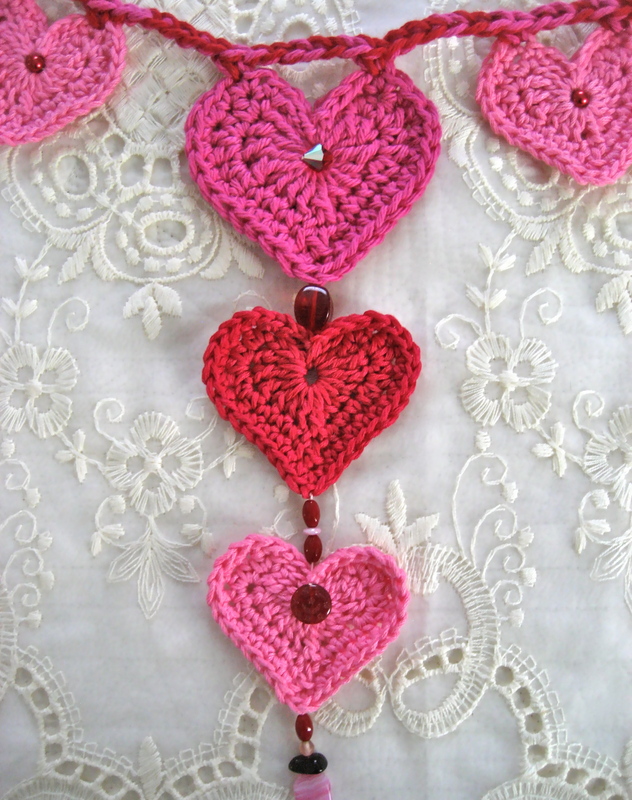 “Valentine�s Day – Crochet Heart Garland | Big A, Little A” was a great blog. If solely there was significantly more websites such as this one on the actual internet. I appreciate your lovely compliment. Thanks for sharing your kind thoughts.